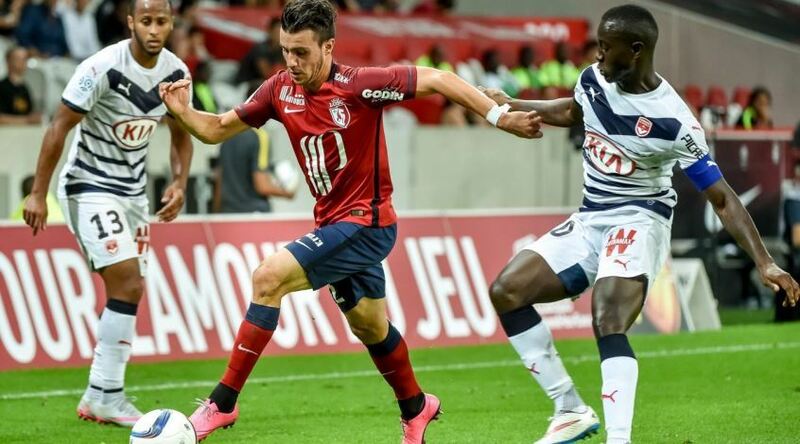 In one of the Round 7 matches in the French League 1 we will see the clash between the teams of Bordeaux and Lille. The two teams started their campaigns differently, but will undoubtedly pursue the three points in the upcoming clash. Bordeaux is in 13th position with an asset of 7 points before the start of this round, while Lille is second with 13 points. The problems in League 1 for the “girders” seem to be nearing their end. The team recorded 2 consecutive non-loss matches in which they took 4 points and moved away from the relegation zone where it was just before the last round. Over the weekend, Bordeaux had 1-3 as a guest at Guingamp. A total of 3 wins, 2 losses and 1 draw for the team in its last 6 games of all races. Home Bordeaux has scored 4 wins, 1 loss and 1 draw in 6 games, but three of the matches are from Europa League, all three being won. No missing from the composition is expected. Under the leadership of Christophe Gallet Lille started successfully this season. In the past, the team almost fell, but it seems that this year “the pairs” will show us much more. 4 wins, 1 draw and 1 loss for Lille in his previous 6 games. In the last round, the team had 2-1 at home over Nantes. In his leagues, Lille has a draw, a loss and a victory to date. Youssouf Kone and Jeremy Pied are questioned about their participation in the match. A total of 68 matches so far between them within the French League 1. Bordeaux has 30 wins, while Lille has 15 successes. 23 matches have ended in a draw. Bordeaux’s performance is much more pronounced at home – 21 wins in 34 games vs. only 3 successes for the ‘Peso’. There is no question that Lille is the team with a better performance so far. Bordeaux somehow fails to consolidate their victories and is too hesitant. Changing the coaching position also had an impact on the team’s results. Find more soccer news and football predictions. Spain’s football boss: We hurried to the dismissal of Julen Lopetegui. 1. First read the information on our site carefully. 2. Choose one of our services and check out our archive. 3. Send us an email before making a payment and ask all your questions. 4. Choose your Payment Method (PayPal, Skrill or Credit/Debit Card). 5. If you decide to make a payment via PayPal, just simply click on the payment banner you choose here. After completing these 5 steps, you will receive your email service immediately. The best tennis livescore service on the web! © 2014-2017 BEST FOOTBALL TIPSTER. All Rights Reserved.